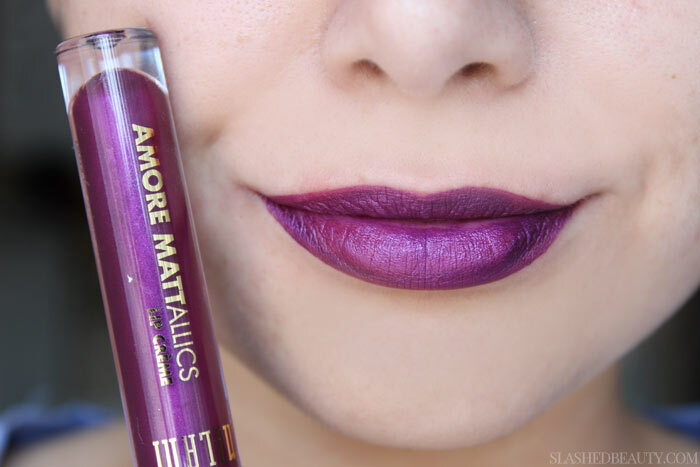 While I admit that Milani has fallen off my radar for a hot minute, they are back in full force with my discovery of the Amore Mattallics Lime Cremes. 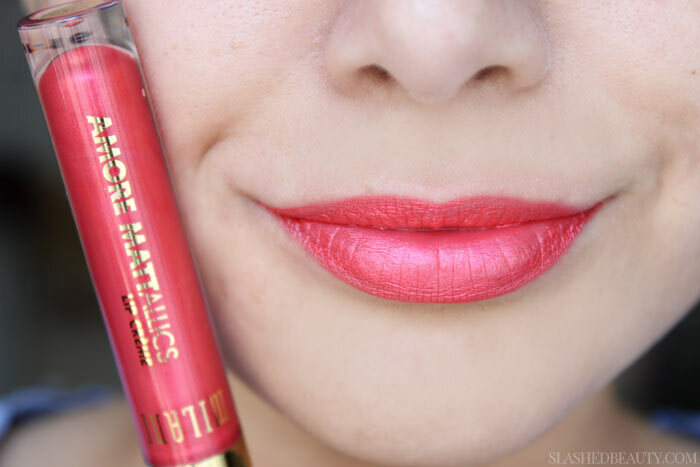 These liquid lipsticks are anything but ordinary, and it was love-at-first-application for me. Metallic finishes are very on trend this season, from beauty to fashion, so these are just in time for a glistening summer. The launch included eight shades with a foil matte finish. While they completely dry down— almost immediately, in fact— the shine is undeniably head-turning. The formula applies almost mousse-y before setting, and once it’s set you can definitely forget about it. I don’t find that they dry out my lips at all. Chromatic Addict is probably the most dramatic in terms of the the metallic finish. The light shade is surprisingly flattering and would look great with a smoky eye. 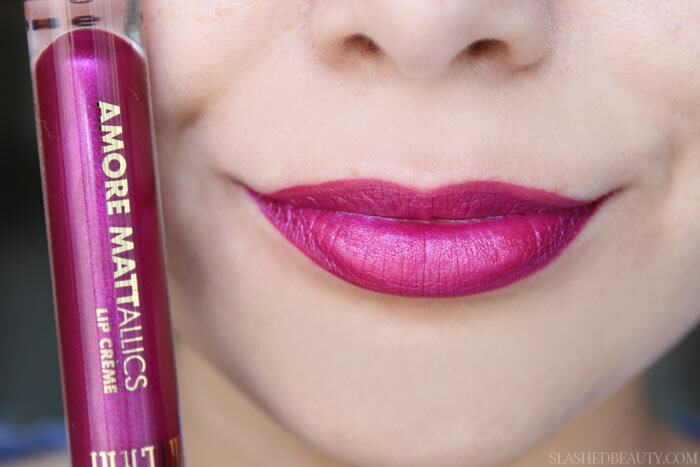 Matterialistic might be my favorite shade of the bunch… like a modern twist on the 90s brown lips. It’s sort of like a bronzed penny shade. This one’s a bubbly bright pink that’s ultra girly with its frosty appearance. 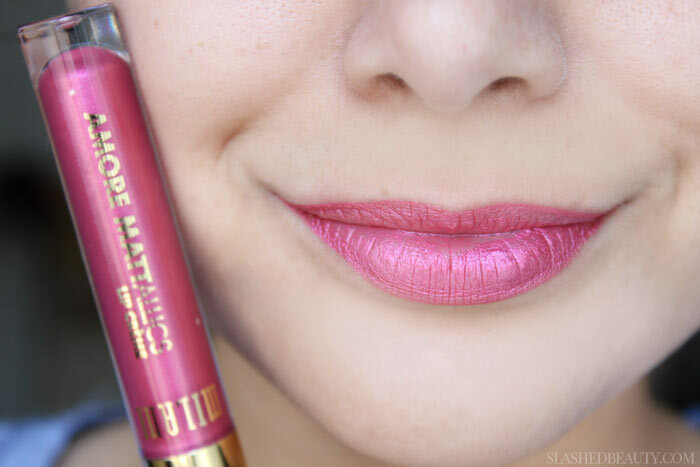 Another highlight from the line, this is a barbie pink with a metal flare! This bright coral has summer sunshine written all over it. Perfect for a warm day out on the town. My second favorite, this shade is an irresistible red that reminds me of the iconic ruby slippers. A deep berry shade, this one brings the drama without going too dark. The most dramatic of them all, this rich purple brings attitude to even the plainest of looks. Literally the only downside to these: the smell. They have been heavily fragranced with a sickly sweet scent that is just too strong for my taste. After swatching all eight shades, my stomach was doing flips in reaction to the smell. Luckily, there’s no taste and the scent doesn’t linger, so I only have to brave a few minutes of it. The line has been popping up in stores over the past month, though they are being advertised as limited edition. 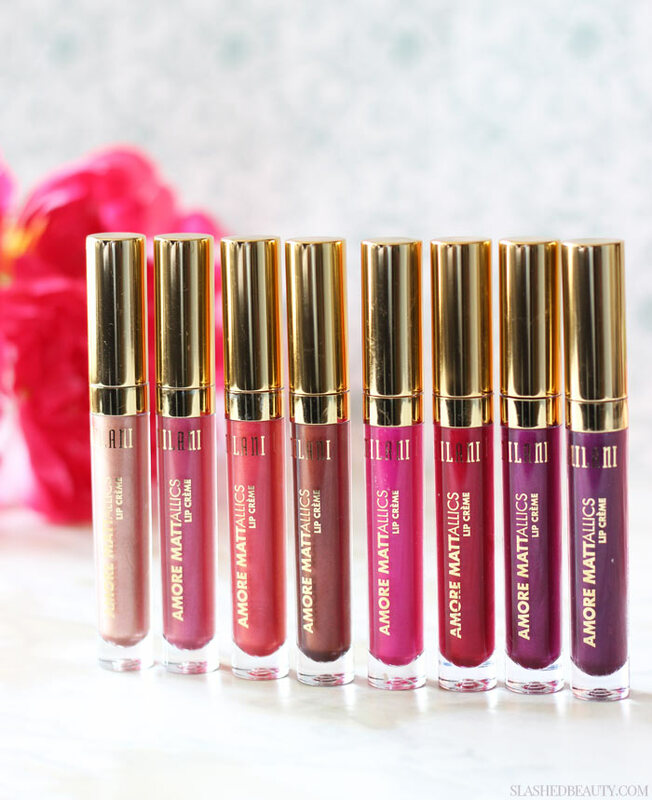 Though Milani is notorious for bringing back limited edition collections to later become permanent, I would suggest snatching these up as soon as you can, since it usually takes a year for them to bring them back. 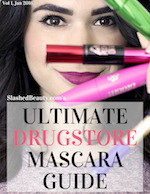 I’d check your local Ulta Beauty first. Which of the shades are you crazy about? I “discovered” these a while back, and I’m really enjoying them. I lack the nerve to wear them on their own, though. 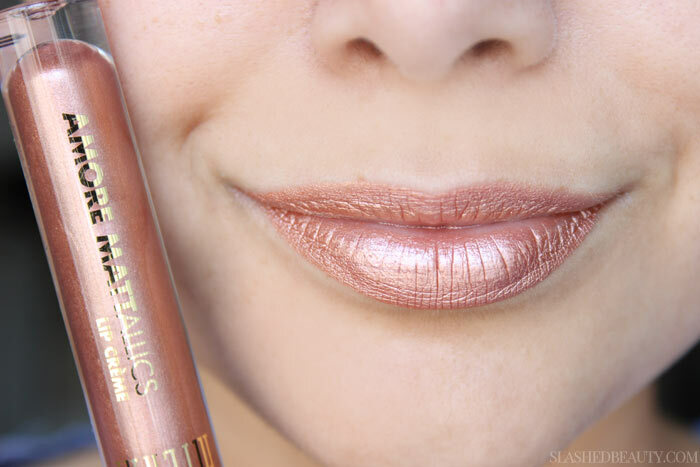 My favorite way to wear them is to place a few dabs of a metallic over a similarly-colored matte or cream lipstick, pat to blend, for a “3-D” effect. I have the beige one, one of the berry ones (Pretty Problemmatic? ), the purple one, and a pink one. I do hope these become permanent. That’s a great idea on how to wear them! Matterilistic looks amazing!!! I hate when brands overly scent things! Why! 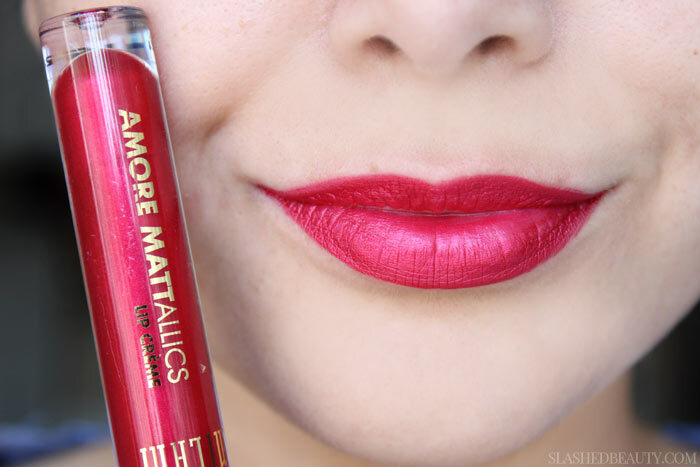 OMG Amore Matte Lip Cremes have one of my favorite liquid lipstick formulas! Now they have metallics?! Ahhhh, I need them all! You gotta grab some!! I’ve never tried the originals but now I know I need to! Thanks for the swatches, I was curious about these! These are just so funky! I kind of like them with that metallic finish! These are so gorgeous. I’m kind of kicking myself for not grabbing one (or a few!) when I saw them at CVS. I love Materialistic on you, but you really can pull of any of these shades well. These are all so pretty! My favourite is probably Matterialistic. I like the ruby red. 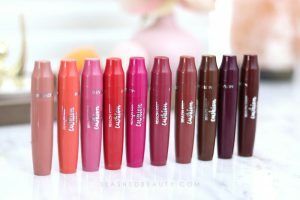 So many pretty shades, Matte About You would be my fav but there are a lot that I like! I love metallics. I like Dramatteic Diva, Matterialistic, and Automattic Touch. 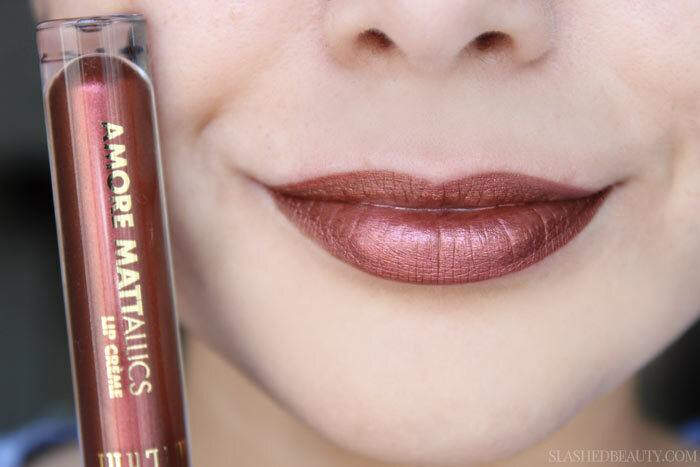 I like the Two Faced Melted Metal lipsticks so I’m thrilled to see a less expensive option from Milani ~ I’ll be checking out Matterialistic & Cinimatic Kiss. And I agree with other posts that Milani is often poorly stocked esp in the San Diego (Pt Loma) area. I’m obsessed with these and I haven’t even tried them. I also haven’t tried the original formula but they one of the few things I think about constantly and think I might have to go pick up! Milani is notoriously awful for never having ip to date products in my local stores and isn’t carried at my Ulta’s. 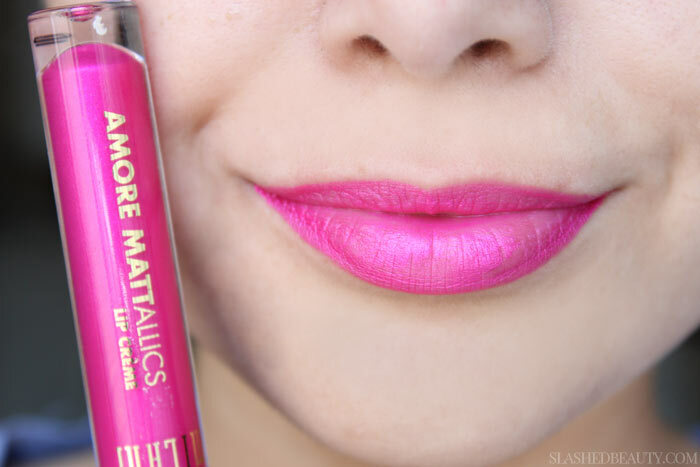 I would love yo get my hands on Matterialistic, Matte in Love and Matte About You though! I think they’ll pop up online soon– hopefully you can get some that way!! Milani usually does a great job at putting their products online ! I will have to check out their website! I wanted to try their new foundation too, but cannot find a trace of it in stores! I love the new foundation! Was going to review next week! Do they have a wide range of colors? I heard they are pretty much meant for people with lighter to medium skin vs like the palest of pale or the darkest of dark.